When a high-powered gallery owner collides with a wildly offbeat artist, it’s the perfect recipe for disaster. 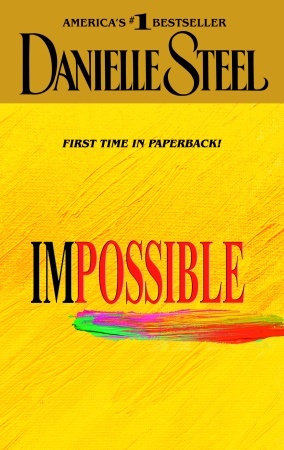 But in her 63rd bestselling novel, Danielle Steel proves that when two hopelessly mismatched people share a love for art, a passion for each other, and a city like Paris, nothing is truly impossible…or is it? Everything Sasha does is within the boundaries of tradition. Liam is sockless in December. Sasha is widowed, a woman who knows she was lucky enough to be married to the most wonderful man in the world and thankful for every moment they had. Liam is half in and half out of a marriage that only a “wacky” artist could manage, and that his own impossibly impulsive behavior has helped tear apart. But while Sasha has been methodically building her father’s Parisian art gallery into an intercontinental success story, Liam has been growing into one of the most original and striking young painters of his time. So while the two are utterly unalike–and a nine-year age difference stares them squarely in the face–the miracle of art brings them crashing together. Now the question is, can Sasha guard her reputation while juggling a secret, somewhat scandalous relationship? And how can Liam, who lives for the moment, put up with a woman who insists on having things her own way, in her own style, and at her own time? For Sasha, it’s a matter of keeping Liam hidden from her grown children and well-heeled clientele as she commutes between New York and Paris and two thriving galleries. For Liam, it’s about creating chaos out of order, bringing out the wild streak that Sasha barely knows she has, of choosing pizza over foie gras, and making love when others are busy making money. That is, until a family tragedy suddenly alters Liam’s life–and forces a choice and a sacrifice that neither one of them could have expected. But from the snow falling on the Tuileries to the joy of eating ice cream by candlelight, the artist and the art dealer have tasted perfection. And giving up now might just be the most impossible thing of all. With unerring insight into the hearts of men and women– and into the soul of the artist –Danielle Steel takes us into a world of glamour and genius, priceless art and dazzling creativity. From the luxurious galleries of Europe to the endless beaches of the Hamptons, Impossible weaves an extraordinary tale of love and compromise, of taking chances and counting blessings. 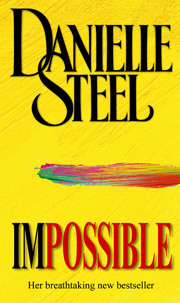 With brilliant color and breathtaking emotion, Danielle Steel has written her most compelling novel to date.